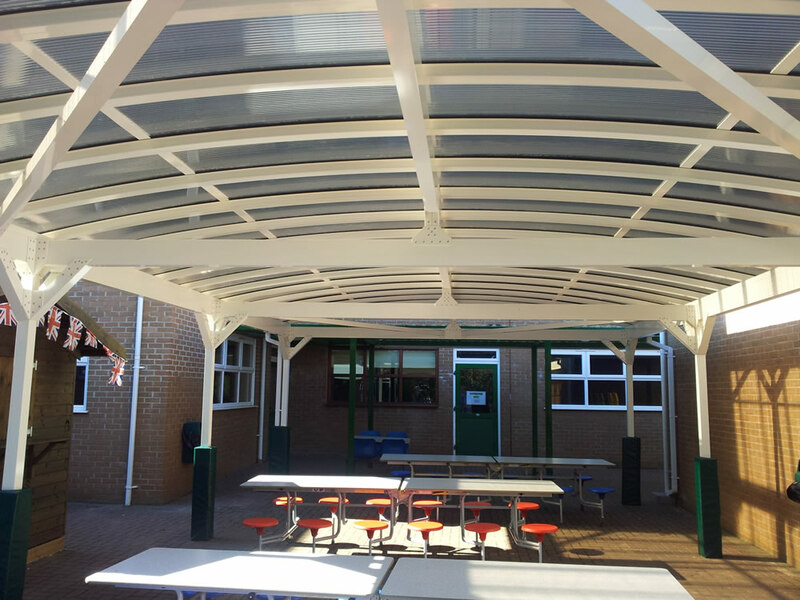 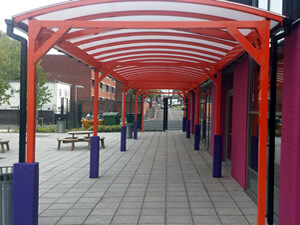 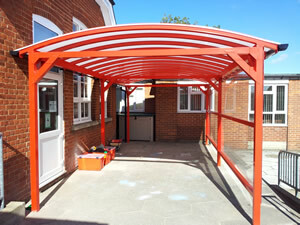 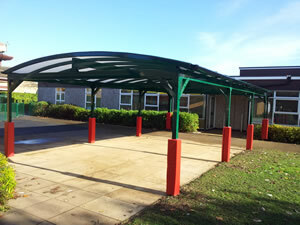 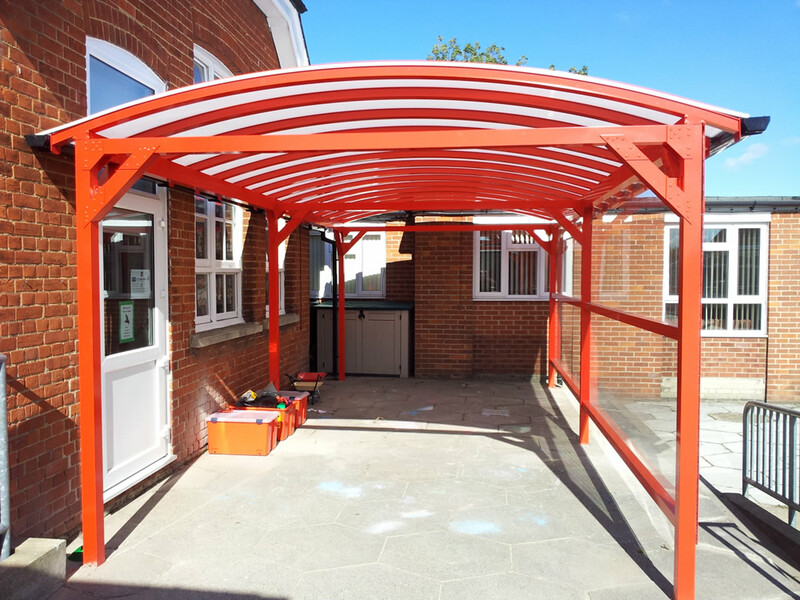 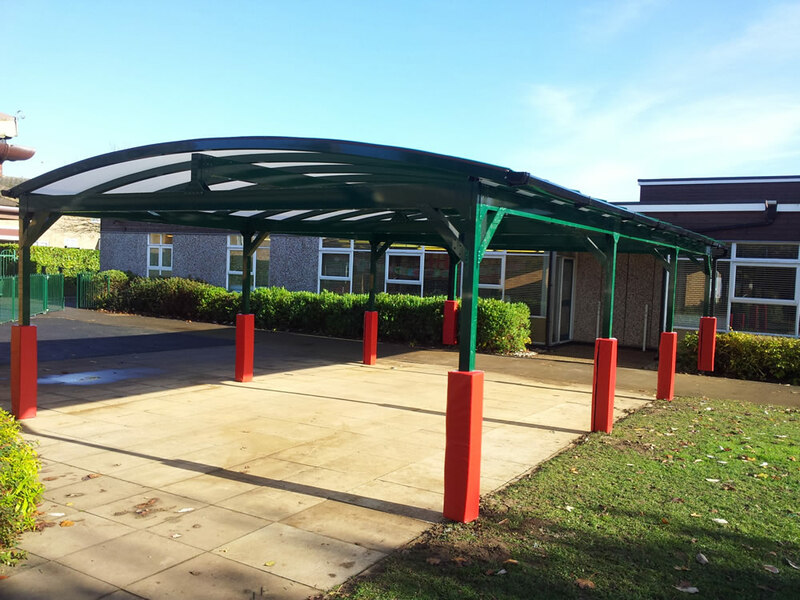 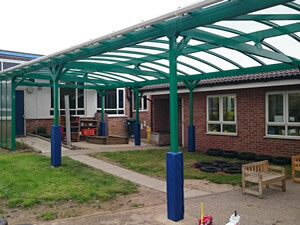 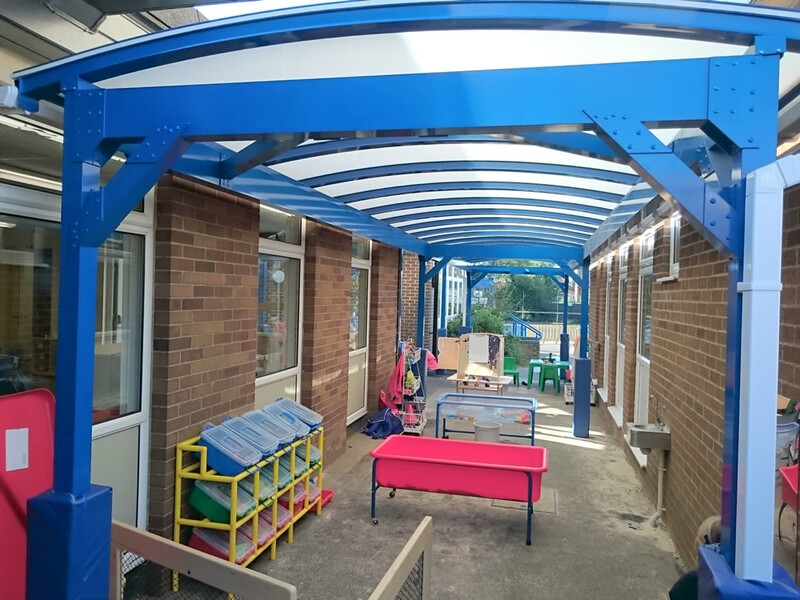 Our POSH elegant curved roof canopy remains the popular choice with our schools clients across the UK when seeking a freestanding covered area. 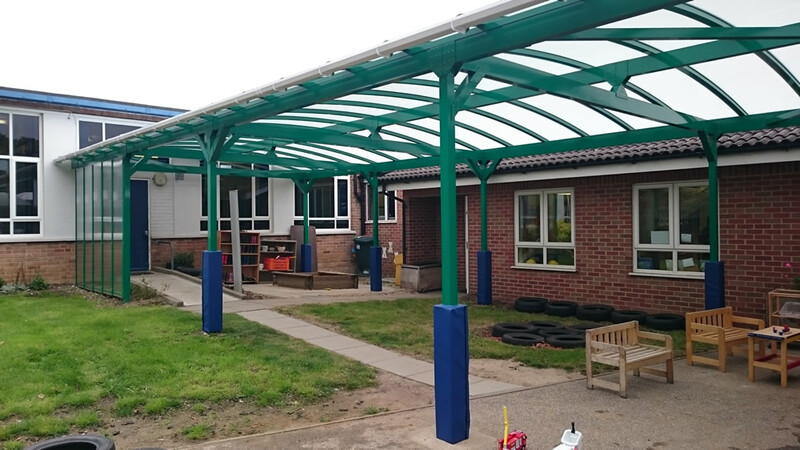 With a span of upto 6m across the curve by whatever length required supported on 114 diameter structural support columns and finished in any RAL colour of clients choice, the POSH serves as outdoor classroom, dining area, play area and much more. 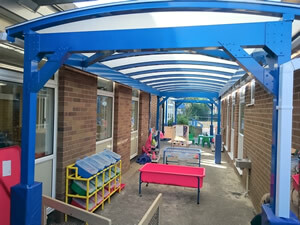 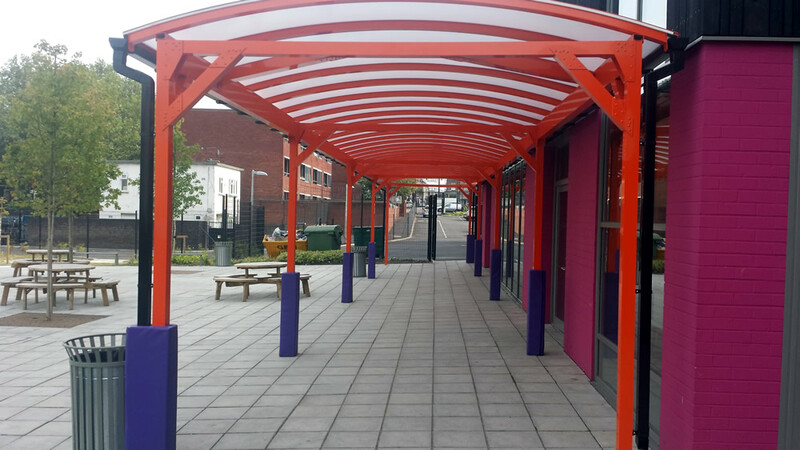 Providing a real WOW FACTOR with a long life span with minimal maintence requirements demonstrates the popularity of the POSH canopy Full CAD drawings are produced for approval prior to production.